Silver coin, probably Charles I or James I. Very worn, has a crack in, is slightly bent and has a small chunk missing. 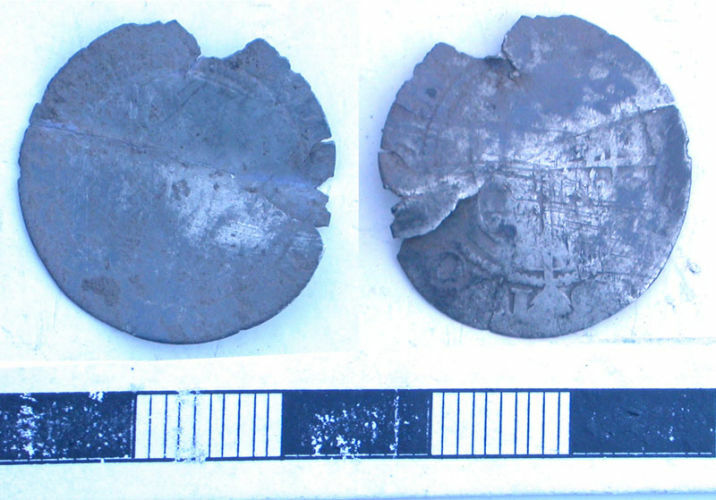 Very worn silver hammered coin, possibly a half-groat of Charles I. It is mis-shapen, some has broken off and has a crack in. A very worn silver hammered penny, probably of James I or Charles I. A heavily clipped and very worn silver possible shilling of either James I or Charles I.